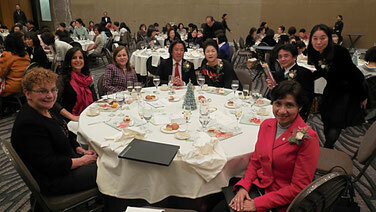 President, Ms. Hayashi’s greeting was followed by a very special choir concert performed by H.E. Ambassador Ms. Martha Lidia Zelayandia, the Ambassador of El Salvador, Mme. Maali Siam, wife of Ambassador of Palestine, Mme. Ana Patricia Elvir, wife of Ambassador of Nicaragua, Mme. Momoe Fritz, wife of Ambassador of Micronesia, Mme. Erika Colon, wife of Ambassador of Venezuela, Mme. Brigitte Essono, wife of Ambassador of Cameroon, Ms. Nadzengue Sylvia, the daughter of Ambassador of Cameroon, Mme. Utako Arrour, wife of Ambassador of Morocco, Mme. 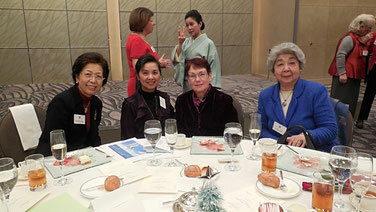 Kumiko Meric, wife of Ambassador of Turkey, Mme. 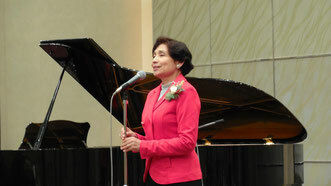 Ayana Hatada Diaz, wife of Ambassador of Panama, Mme. Minh Ha Hoang, wife of Ambassador of Vietnam, and Mme. Lise Frederiksen, wife of Ambassador of Denmark. The conductor: Mr. Hiroaki Kato. The pianist: Mr. Toshiki Usui. 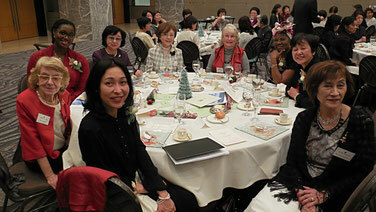 The organizer: Ms. Junko Katano. 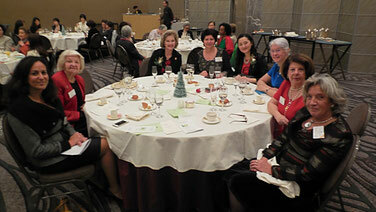 After we enjoyed every bit of their wonderful performance, we had a Christmas luncheon. H.E. Ambassador Ms. Martha Lidia Zelayandia, the Ambassador of El Salvador, proposed a toast. H.E. Ambassador Ms. Anne Barrington, the Ambassador of Ireland, Mme. Marlise Vahekeni, wife of Ambassador of Angola, Mme. Olga Afanasieve, wife of Ambassador of Russia, Mme. Ilda Esteves, wife of Ambassador of Portugal, Mme. Katarina Karatsolis, wife of Ambassador of Greece, and Mme. Ludmila Bumacov, wife of Ambassador of Moldova also attended. There were 115 attendees in all. 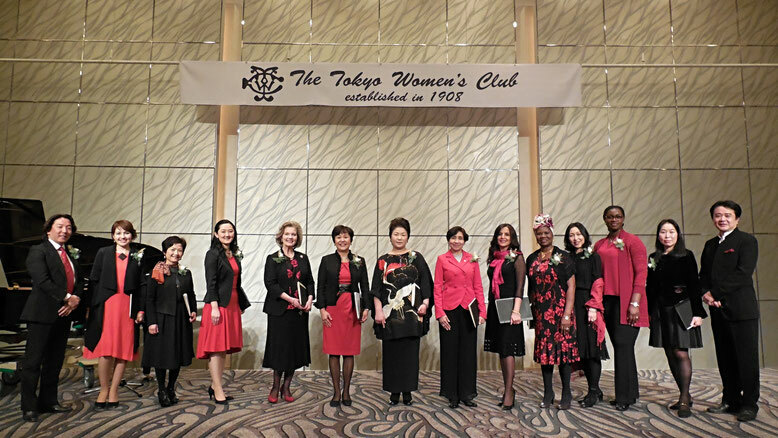 Before the closing, TWC presented donations to Ms. Suzue, the director of BirdLife International Tokyo, and Ms. Nakajima and Ms. Ishii, the directors of Momiji House (KidsFam Foundation), and Mme. Minh Ha Hoang, wife of Ambassador of Vietnam, talked about the Asia-Pacific Festival & Charity Bazaar which will be held on April 6, 2017.